In a recent published decision from the Appellate Division, L.T. v. F.M., the Court differentiated between the standards of proof associated with an domestic violence action in the Family Part and a civil action in the Law Division. 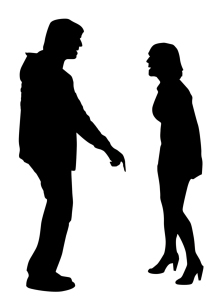 The primary issue presented and resolved in this decision was the issue of whether the defendant was collaterally estopped from arguing in the Law Division action that he did not assault the plaintiff after the plaintiff successfully obtained a Final Restraining Order in the domestic violence action in the family court. Ultimately, the Appellate Division held that the doctrine of collateral estoppel did not bar the defendant in that Law Division civil matter from challenging the plaintiff’s claims based upon the verdict reached in the domestic violence action. Furthermore, the Court held that evidence of the prior alleged assault and the Final Restraining Order should not have been admitted into evidence in the Law Division action. Accordingly, the matter was remanded to the trial court for a new trial with the instructions to follow the parameters of this decision. The parties were involved in an extended dating relationship that lasted approximately eight (8) years. On February 27, 2008, the plaintiff obtained a Temporary Restraining Order (TRO) in the family court against the defendant pursuant to the Prevention of Domestic Violence Act, based upon an alleged incident wherein the defendant spat in the plaintiff’s face, pushed her against the wall, grabbed her neck, and repeatedly slammed her head against the wall. The plaintiff was able to leave the home and get in touch with the police when the defendant took a shower. The plaintiff also went to the hospital and received pain medication for her injuries. As part of her TRO complaint, the plaintiff alleged additional instances of domestic violence in April, August and November 2007. Thirty (30) days after the entry of the TRO, the family court held a final restraining order (FRO) hearing over a period of three (3) days. Plaintiff was represented by counsel. Defendant, an attorney, represented himself pro se. As this was a summary proceeding, no discovery was exchanged beforehand between the parties. Based upon the February 27, 2008 incident, combined with the April and August 2007 incidents, the trial court entered a FRO against the defendant despite his denial of those allegations. Subsequently, the plaintiff then filed a three count Complaint in the Law Division seeking monetary damages against the defendant for the three assaults that the family court found had occurred in the domestic violence action. In the Law Division action, the family court judge that handled the domestic violence action initially handled the Law Division action as well. Upon the plaintiff’s motion for summary judgment seeking to have the Court hold that the findings in the domestic violence action established liability in the Law Division action, the judge denied that motion on the premise that there were significant and substantial procedural differences between the summary proceeding conducted in the domestic violence action in the family court and the current Law Division action. Some time in May 2011, the matter was transferred to another judge, and the plaintiff renewed her application to seeking to collaterally estop (bar) the defendant from defending against the assault. The new judge granted the motion without acknowledging or explaining the contrary ruling from the prior judge in the matter. Accordingly, the second judge prohibited the defendant from presenting any evidence contesting the plaintiff’s claim that he assaulted her on February 27, 2008. The Defendant was allowed to contest the April and August 2007 incidents though at the time of trial. The plaintiff was able to enter in testimony regarding the November 2007 incident, despite the prior ruling in the FRO matter, on the premise that it was habit evidence. The plaintiff, in addition to the testimony regarding the prior incidents, was able to enter the TRO and FRO that was entered against the defendant in the plaintiff’s favor as trial exhibits. The defendant did not object to the entry of those documents into evidence. Ultimately, at the conclusion of the Law Division trial, the jury found that the defendant had in fact assaulted the plaintiff in April 2007 and on February 27, 2008. Accordingly, the jury awarded the plaintiff $149,500 in damages. With regards to the collateral estoppel issue, the Appellate Division agreed with the defendant that the trial court judge erred by applying that doctrine to the Family Part’s findings in the FRO matter. The Appellate Division essentially reinstated the initial denial by the first judge, explaining that it was error for the second judge to (1) disregard the first judge’s order, and (2) overturn the first judge’s order without sufficient explanation of basis pursuant to the “law of the case” principles. The Appellate Division specifically gave significant weight to the fact that the first judge presided over the FRO matter and therefore had firsthand knowledge of what happened in that proceeding, what was presented as evidence, and what the ultimate findings were. The main distinction made by the Appellate Division is that in the Law Division action it is no longer a summary proceeding, on an expedited basis, and there is significant discovery that is sought and exchanged by the parties beforehand. Based upon the fact that the defendant was barred from defending the assault allegations against him, the Appellate Division was constrained to reverse and remand for a new trial. With regards to the November 2007 incident and habit evidence, the Appellate Division agreed with the defendant that the trial court judge erred by allowing that in as evidence. The Appellate Division found no basis for the testimony regarding that incident to be considered the establishment of habit. Habit evidence, according to the Appellate Division, must, with “specificity or proof of regularity,” demonstrate a “routine practice probative of … conduct.” A mere tendency was deemed insufficient to be entered in as habit evidence. The Appellate Division found no other reasonable basis for this evidence to have been allowed in and therefore ruled that it must be excluded from the new trial on remand. This case is significant in the fact that it sets forth the distinct differences between the summary proceeding in the Family Part domestic violence action and the Law Division action for assault. This decision provides the safeguards for a defendant who has had a TRO and/or FRO entered against him and now faces allegations in a Law Division action. Had another result occurred, it could have very well opened the floodgates to civil litigation between divorcing spouses, or any parties for that matter, that have litigated domestic violence matters against one another. The attorneys at James P. Yudes, P.C., are well equipped to assist you with regards to these types of matters should they arise.